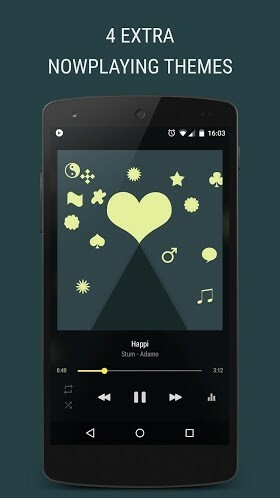 – NEW Now Playing background, ‘Dominate UI’ blends the Album cover with the background! Try it out. – Fixed ‘Now Playing Rounded corner’ graphical glitch and for ‘Fit Center’ scaletype! This setting is now moved to ‘Now Playing settings’. – Added option to view Artist as ‘Circle Grid’ and ‘Material Grid’. – Added option to disable the bottom bar in Folder view. – Added new ‘Filled Solid Color UI’ Now Playing button background style with no translucency. – Added option in Artist page to reset the image and auto download new one. – Added option to use the dominating color for the ‘Gradient UI’ feature. – Added ‘Favorites’ as possible action of the Bottom navigation bar. – Fixed unable to Share #Now Playing on Android Oreo. 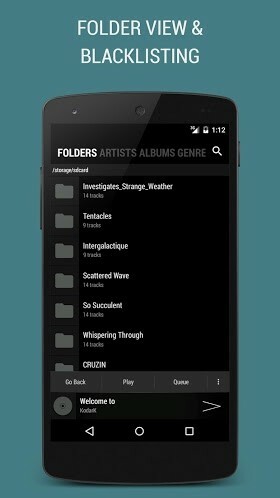 – Added Album title to Immersive theme. – Tried to fix wrong cover in the big 4×2 widget. – Tried to fix Custom lockscreen on Android Oreo. – Minor update to ‘Immersive’ theme. – Minor update to ‘Stock 2’ theme.